What dish can you feed everyone: those with stomachs that “digest nails”, and people with digestive problems, and even young children? What kind of food is so satisfying that if you eat it at lunch, you will not get hungry till morning? And this is extra-budgetary cooking when you need very cheap products. What is this miracle, beef khashlama, and how to cook it properly? 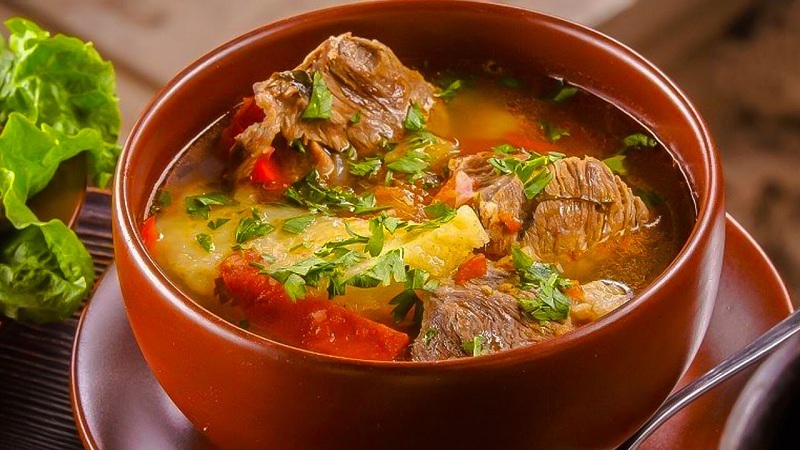 Khashlama is an international dish: it can be Armenian, Abkhazian, Georgian (and the last one is also of several kinds), there is also a Russian recipe. 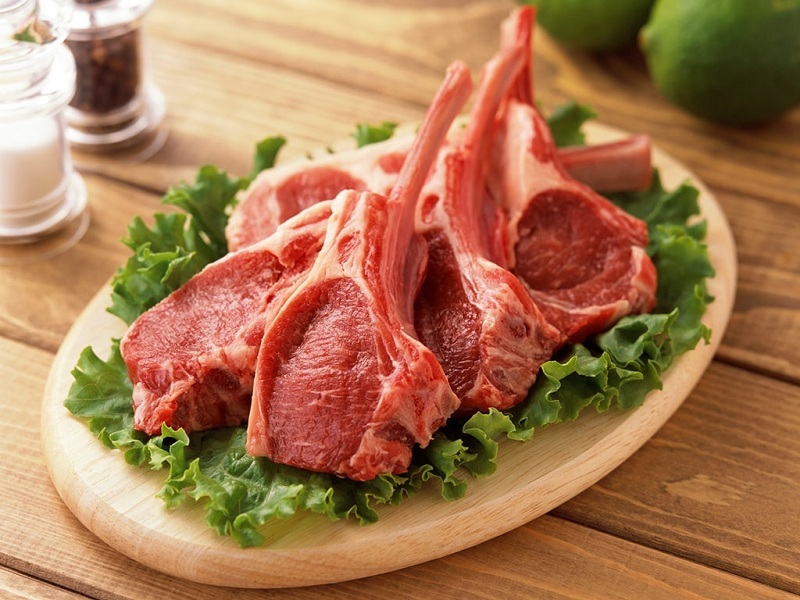 Boiled meat is the main ingredient; it can be used beef, lamb, buffalo meat, sometimes it is cooked from pork. “Classics of the genre” and, perhaps, the most delicious – beef, besides, there is not always mutton or buffalo in the store, but beef is everywhere. 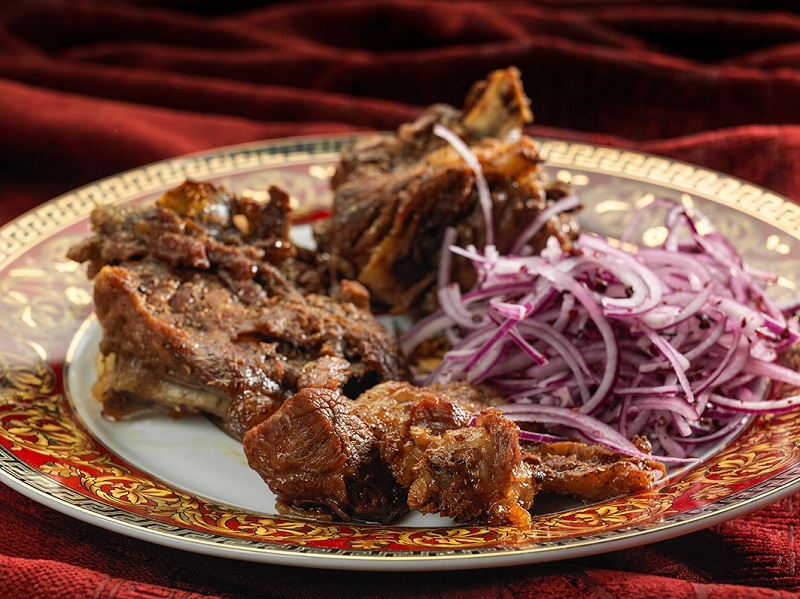 But even from this meat, khashlama is cooked in different ways, you can count up to a dozen of its recipes, and each time it will seem like a new dish to taste and look. 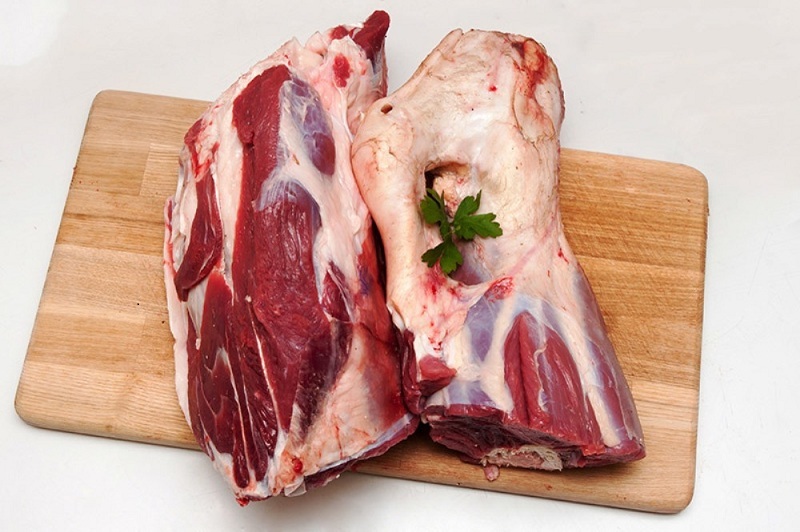 The condition that must be observed when cooking khashlama both at home and in restaurants – meat should be with bone and the thicker the bone, the more brain in them, the better. It is the cooking of the brain bone together with the pulp that will give the unique taste and necessary richness of this dish. The second condition (not as important as the first, but desirable) is that the meat must be “old”, not in the sense of stale and tidy, no! It means that the calf does not fit, but the cow or bull is just right, and the bull (sorry) neutered necessarily. 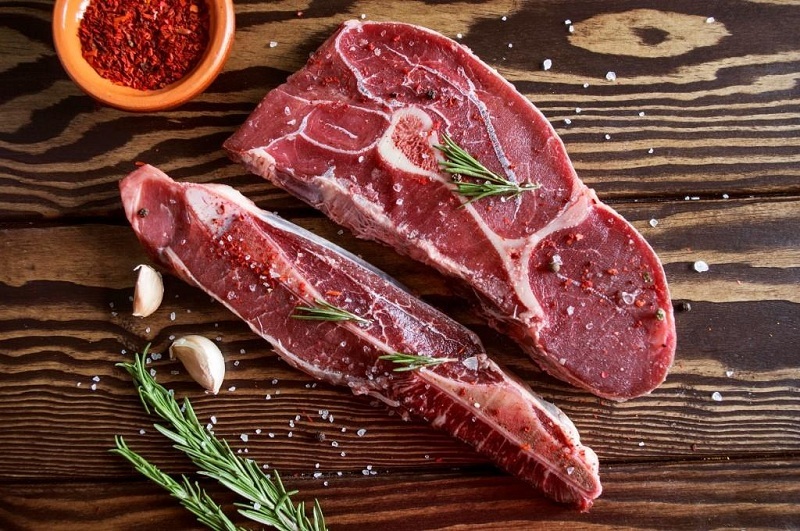 How to choose beef by age and quality? Meat should be dark red, without shades of pink or brown, fat – yellowish. When you press the pulp with your finger, blood should slightly act, but the not brown liquid is an indicator of the freshness of the meat. In terms of bovine meat, whether the animal was castrated – then you have to rely on the honesty of the seller. If you bought exactly bull meat, then upon coming home you can immediately check it: we cut a small piece of the purchased piece and set it to cook. If the animal was not neutered, after boiling the kitchen will “float” the sharp smell of urine. You can safely go to the market and demand money back – such meat is considered a marriage and is absolutely not suitable for cooking! What kind of beef should I take for Khashlama? “Queen” of beef for this dish is lytyka, or in Georgian “artala”. This is a cow leg, it is taken completely, with the bone inside and all the meat around the bone. From such artala as in the photo, it turns out the richest and delicious khashlama. Breast.For lack of artala fit, but not too greasy. Spatula. You can take it, but there is a bit of meat in it, and there are few bones, so we cut off some of the lean edges. 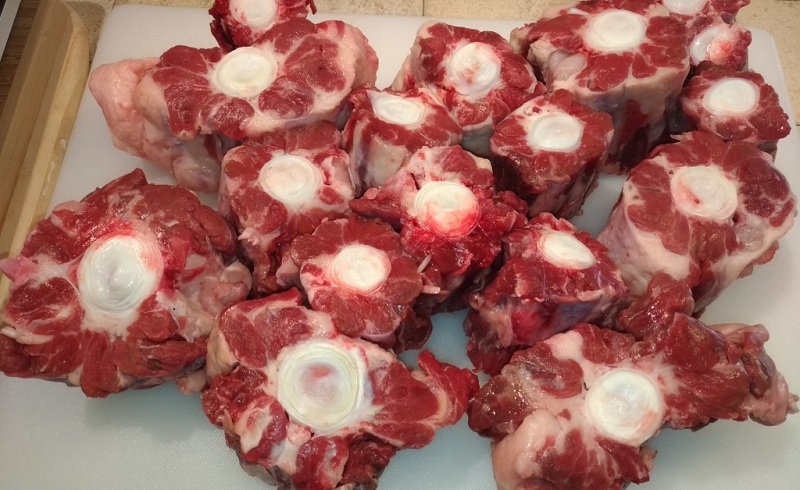 Oxtail. It is very inexpensive, in all respects (age and the presence of stones with the brain) is great. The main thing is that the bull was neutered (see above how to find out). The meat was chosen, what else to buy from the products, and how to make Khashlama, and not just boiled meat with vegetables? In Georgia, this dish is a mandatory attribute of a large table. 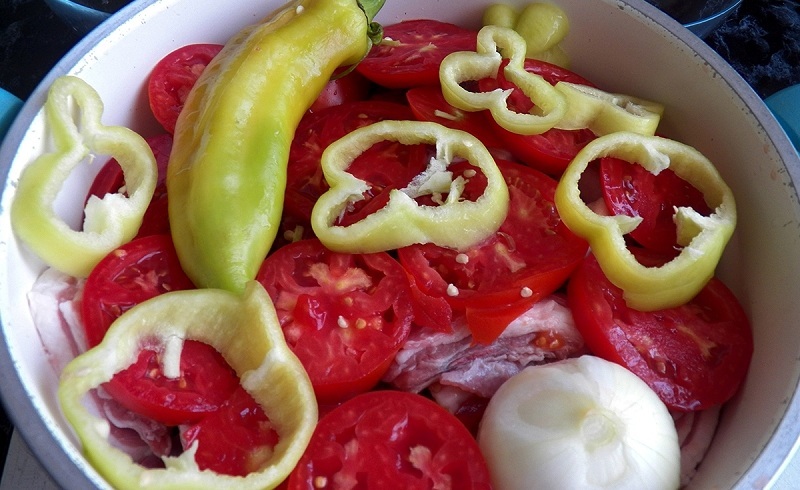 The Georgian recipe is the simplest, the inhabitants of this country claim that it is the most “correct”. We will not argue, we begin to cook. large pan (preferably stainless steel). We cut Artala into portions: finely it is impossible, it is better to let them be large. 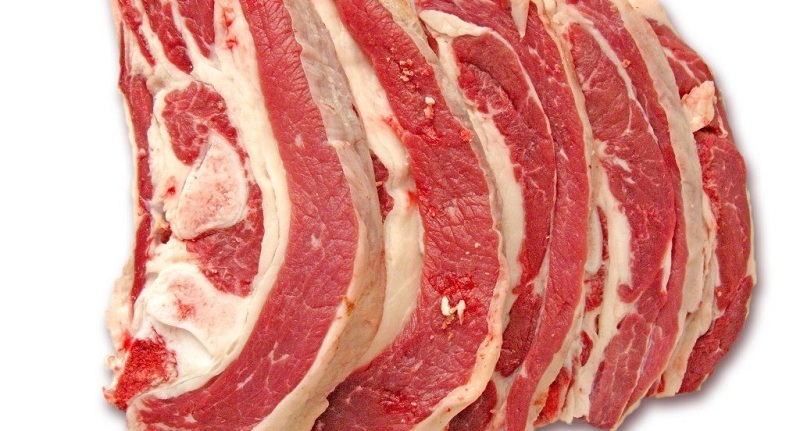 You can ask the butcher to chop the meat when buying, saying the magic words: “for Khashlama”. Meat well washed, put in a pan and on fire. Carefully remove the foam. There is a trick on how to remove the foam to the end: when the water is already boiling and the first portion of the foam is removed, quite a bit (as you can take with three fingers) we throw salt there – and a new portion of foam immediately rises, already white – the broth will not foam after it. The fire diminishes, we throw a bay leaf, leave everything to boil for three or four hours. While the meat is boiling, cook the onion: cut it into half rings and pour vinegar into the containers. My and cut the greens: who does not like stalks of cilantro and parsley, cuts only the leaves, but from the stalks, the aroma is stronger and brighter. Right in the pan, touch the meat with a fork or cooking stick, and if the meat “falls apart” (freely separated by fibers), then it is already cooked. Pieces of meat are taken out, the bone is separated (it has completed its task while cooking). We do not cut the meat, but we divide it into pieces – it should be so well cooked. Squeeze the onion from the vinegar, sprinkle them with Khashlama on top. Now evenly sprinkle with greens, or put sprigs on the sides of the plate (as you like). 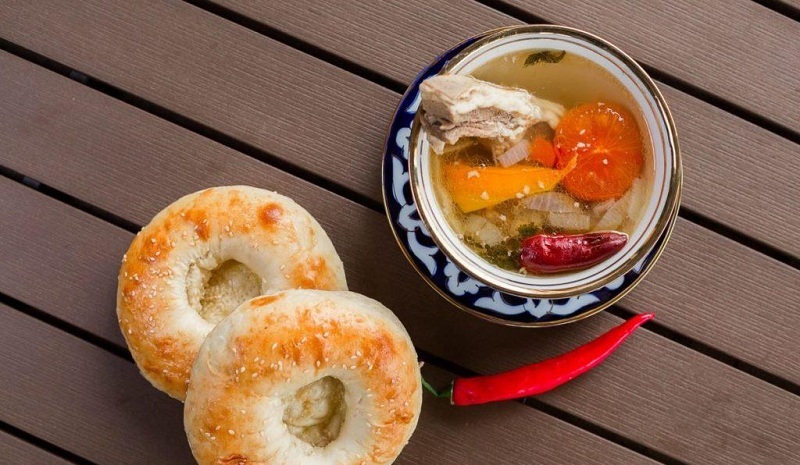 Broth, if Khashlama was prepared in Georgian, must be submitted separately in drinking bowls. Sometimes they sprinkle meat with onions, and then they clean it – he gave the juice, soaked his meat. Khashlama is salted in Georgian in the process of eating, each one wants. Or they add some broth and drink unsalted meat with it. Armenians are big inventors in terms of cooking, they make fun of their Georgian neighbors: when God distributed the recipes, the Georgians seized the Khashlama recipe and ran away, and the Armenians who stood in line behind them asked all the meticulously. 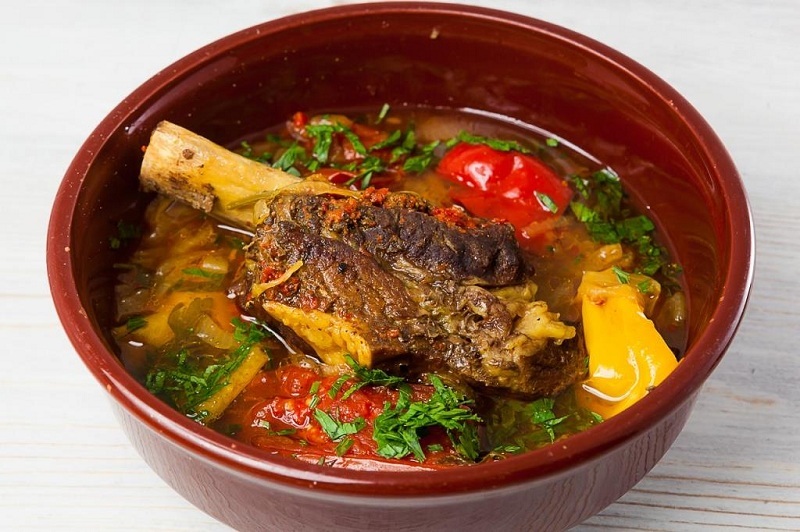 You shouldn’t argue whose khashlama is tastier and “more correct” – we don’t find out, for example, which borscht is better, Russian in cow broth or Ukrainian with a goose! Meat chopped and put on washing under running water. Onion cut rings, laid on the bottom of the pan with a thick bottom. Spread the meat in large pieces evenly over the onion. Fill with water: there should not be much water, but so that the meat is completely covered by it. Add half a cup of white wine, set to cook (do not forget to remove the foam). peeled potatoes – large halves, small entirely. If the broth does not cover the potatoes, add hot boiling water. We need not cold boiled water, but boiling water, and then the broth will immediately become cloudy. Now it’s the turn of eggplants. It is not necessary to clean – the skin gives the necessary aroma and taste. We cut them into large pieces, sprinkle with salt – we must “drive out” bitterness from the eggplant. After 10 minutes, squeeze the black liquid out of them and put them on top of the potatoes, it will just be cooked until half cooked. Leave to boil. Salting the Armenian khashlama is necessary at the very end when everything is cooked: put salt, mix it very carefully with a large wooden spoon from top to bottom, try, salt again, if it is not enough. Remove from heat, arrange on plates, sprinkle with greens on top. 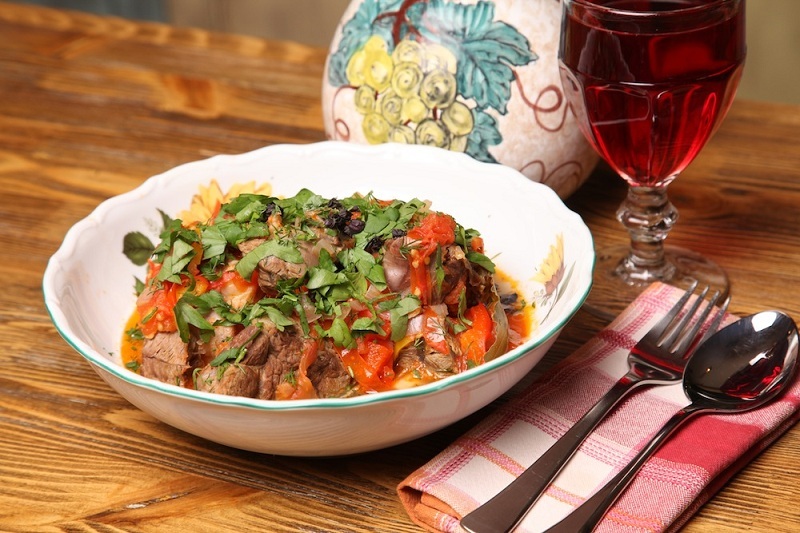 The Caucasian dish was successfully integrated into Russian cooking – this Khashlama is prepared almost the same as in the previous recipe, with a small amendment: tomatoes and quince are added to it. The meat, chopped into pieces, unfolds at the bottom of the pan. On top are placed sliced tomatoes, followed by large chunks of bell pepper and the whole bitter one thing. Onions can be cut, or put a whole onion, it does not matter. The saucepan is sent to the fire, the froth is removed when boiling, everything is cooked for about two hours. Peeled potatoes cut in half (not cut small), add to the future Khashlama. We clean the quince if it is with a “fluff”, or just mine. It is better not to clean the quince at all because the fragrance itself is in the skin: you can remove the “fluff” by rubbing the fruit carefully with a cloth. Quince cut into 4 slices, cut the seeds, add to the boiling mixture. When the potatoes are ready, salt them to your taste, gently stirring. We take out a quince (it is not eaten) and bitter pepper. A line of greens – we sprinkle it with food already laid out on plates. 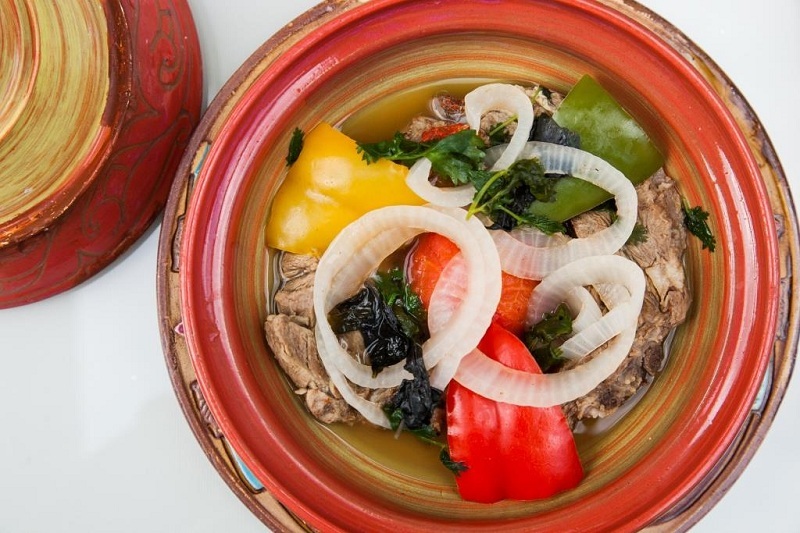 Khashlama is not only a tasty and healthy dish, but it also suits absolutely everyone. 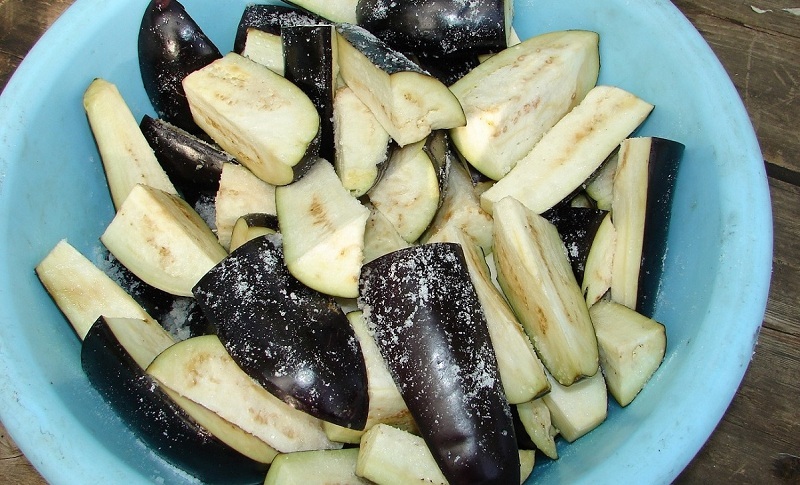 There is nothing fried, all products are boiled; if something is impossible on a diet (for example, eggplants during salt deposition) – the ingredient is excluded without loss of quality of the dish. Georgian khashlama is more like a main course than the first one (because the broth is served separately). According to other recipes, it looks more like soup. One way or another, Khashlama is nourishing, healthy, tasty, and doesn’t hit the wallet in terms of finances. It is not difficult to learn how to cook it, she is a welcome guest at the family table at any time of the year, on weekdays and on holidays.